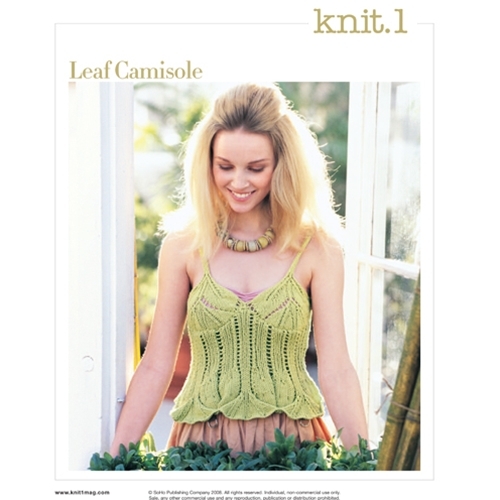 Three leaves are stitched at the hemline and worked upward to openwork and skinny rib straps in this top. • Sized for Small (Medium, Large). Shown in size Small. • 22 sts and 24 rows to 4"/10cm over lace rib pat using size 6 (4mm) needles.